I am writing to express my concern over the trial and conviction of Mr. Nguyen Huu Vinh and Mrs. Nguyen Thi Minh Thuy, and to ask that you exercise your discretion to appeal this case to the Supreme People’s Court to overturn their conviction. Mr. Vinh and Mrs. Thuy were sentenced to five years and three years of imprisonment respectively after their trial on March 23, 2016, under Article 258 of the Vietnam Penal Code for “abusing democratic freedoms to infringe on the interests of the State.” On September 22, 2016, their sentences were upheld after their appellate trial before the Higher People’s Court. 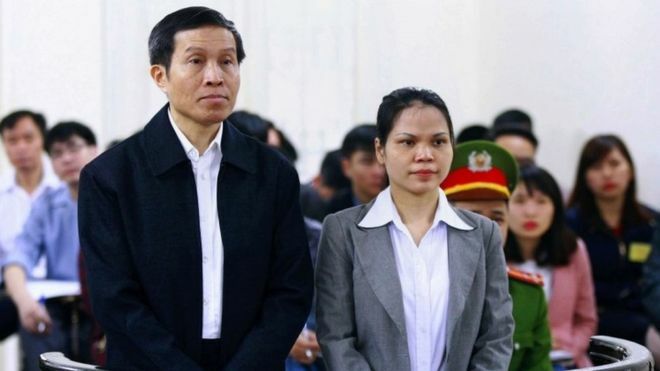 Mr. Vinh and Mrs. Thuy were convicted for publishing 24 posts on their blogs, activities that are protected exercises of free expression under the Universal Declaration of Human Rights and the International Covenant on Civil and Political Rights (to which Vietnam is a party). Article 25 of Vietnam’s Constitution also guarantees freedom of speech and opinion. In addition, Mr. Vinh and Mrs. Thuy were jailed for 22 months before their trial commenced, before being tried in closed courtrooms with only limited access to their families or to legal counsel. Mr. Vinh and Mrs. Thuy have a right to a fair trial not only under the Universal Declaration of Human Rights and the ICCPR, but also under Article 31 of the Vietnam Constitution. Given this, I urge you to appeal the Higher People’s Court Decision before the Supreme People’s Court, and to ask that their sentences be overturned.